It doesn't matter who you voted for. It doesn't matter if you love Donald Trump or hate him, it can't be disputed that the effect of his election is already causing a ripple effect on the auto industry. For decades it has seemed like the goal of auto manufacturers has been to move as many factory jobs as possible out of the U.S. The justification for these moves is that the manufacturers say that it is too expensive to have production in the United States. They say that the cheaper the vehicle, the more effect these costs have on their ability to profitably manufacture in this country. Whenever these stories come up, people usually assume that the labor is what costs so much. While it is true that U.S. workers get paid much more than somebody in a country like Mexico, a large part of the additional cost to manufacture domestically is dealing with regulations. Due to the increase in the use of robotics for assembly, labor cost is not as big of a factor as it used to be. On average, it takes around 35 man hours to assemble a vehicle. To use rough numbers, if a worker in Mexico gets paid $10 an hour and an American worker gets paid $60 an hour (both including benefits), the labor to produce a vehicle will cost $1,750 less in Mexico. It isn't that high of a percentage of the final price except for the cheapest models. The "Trump Effect" isn't isolated to any one specific event or announcement. In just the past few weeks, we have seen many headlines coming out of the auto industry that illustrate that the trend of moving manufacturing out of the country may be beginning to be reversed. These are just a few examples of what has become an almost daily occurrence. Normally, President-Elect Trump will tweet his displeasure about a companies manufacturing plans that includes a threat of an import tax and then a few days later, the company will make some type of announcement. We believe there are a few factors behind these announcements. To start with, President-Elect Trump has announced policy priorities that would make it more expensive to manufacture in another country and less expensive to manufacture in the United States. From very early in his campaign, President-Elect Trump has promised to renegotiate the North American Free Trade Agreement (NAFTA) and tax products manufactured in Mexico for sale in the US 35%. It isn't clear whether this tax is on top of other taxes or if he is simply saying he will continue to tax the profits on these products at the current 35% rate while lowering corporate taxes on the profit gained by selling products that are made in America. The other thing that he has promised is to reduce the burden created by excessive regulations. The regulations that have become more and more onerous as years have passed are cited by executives as the main reason it is difficult to manufacture products in the U.S. The manufactures that have made these announcements must believe that President-Elect Trump will follow through on this campaign promise. Another factor that should not be discounted is the consumer's desire to purchase from companies that they believe are supporting American workers and helping to create jobs and grow our economy. Outside of "Vladimir Putin's hacking activity," the main reason that Donald Trump won the States of Michigan, Wisconsin and Pennsylvania was the desire of people in these former manufacturing centers to bring good jobs back to to the U.S.A. The auto manufacturers want to be seen as supporting this goal so that people want to purchase their products. It is too early to tell how this "Trump Effect" on the auto industry will end up effecting consumers. Overall quality of vehicles has drastically improved over time and we would expect it to only get better when production is handled by well paid American workers. There may be some price increases as the manufacturers try to maintain their margins. However, if they can save enough due to reduced regulations and/or corporate tax rates, they may be able to maintain the same pricing that they are offering now. Of course, prices always tend to increase somewhat from year to year. We'll have to wait and see what ends up happening. If President Trump's policies end up reinvigorating the U.S. manufacturing sector, then people that hate him might end up liking him a little and people that already like him might end up loving him. At CarBuyingTips.com, our main concern is that you get a great deal on your next car or truck, no matter where it was manufactured. Read our guide to buying a new car and learn to negotiate like a pro. Our strategy revolves around competition. Visit TrueCar to see what other people in your area are paying for the vehicle that you are looking at. Use the guaranteed price certificate that they offer as a baseline for your negotiating. 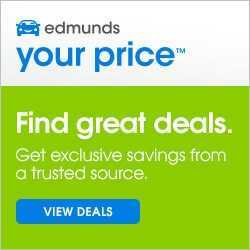 Take advantage of trustworthy sites like CarClearanceDeals and Edmunds to get more dealers involved and use competition to your advantage.